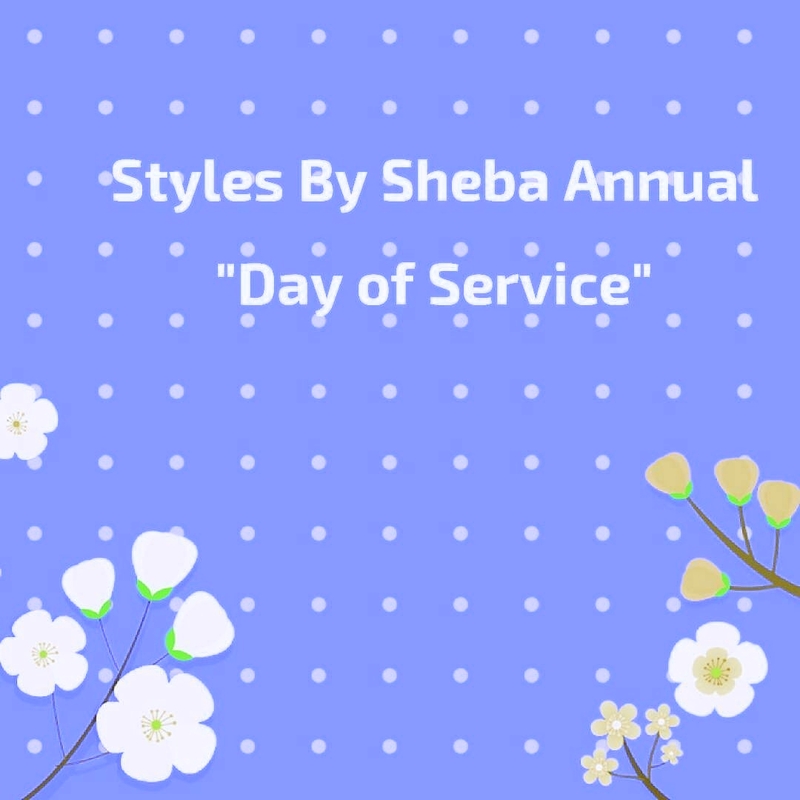 Styles by Sheba's 2nd Annual Day of Service will be held on August 30, 2017. Because of the overwhelming number of requests made last year, we will also add August 28, 2017. The Days of Service will be held from 7am to 11pm, both days. Students of Richmond City, Henrico and Chesterfield County Public Schools will receive a limited amount of free or discounted hair services for Back to School 2017. Please submit the request form via the website if your child is in need and interested in an appointment. Appointments will be provided on a first come, first serve basis and will be subject to availability of supplies and time. One child per household is eligible to apply. Please note that I am a mobile stylist and will travel to each client. Please, please, please, be mindful of my and others' time when applying. This program is a need based program. Supplies such as beads, braiding hair, weave, etc. will be supplied while supplies last or you can supply specific products/hair of your choice. Limited quantities available. Please note if you will be providing your own hair and/or supplies. There is no guarantee that your child will be chosen for the program. I will try my best to accommodate as many children as possible. Appointments fill fast so please submit your request as soon as possible. Please keep in mind that appointments will only be taken by form request on the website. You will not be able to schedule online for these two dates. I will be in contact with you prior to the day of service with appointment times and to give further instructions, if your child is selected. Thank you for your interest! If you would like to sponsor a child/children or contribute supplies, please consider making a donation to the Styles For Grades Program securely via PayPal. Please contact Ms. Sheba by August 26, 2017, to donate supplies/hair. All donations are greatly appreciated! As a thank you for your sponsorship, you will receive free mobile service fees with a donation of $25.00 or more. Donations received by 8/31/17 will receive free mobile fees for the months of September and October; donations received 9/1/17 - 9/30/17 will receive free mobile fees for the month of October. Applicable to Richmond, Henrico, and Chesterfield locations only. Let's make this year's Days of Service a success!